Esportal and Inferno Online have joined forces to host a tournament with an open qualifying system and €30,000 ($33,800) in prize money. The Esportal Global will begin on April 16 with a series of open qualifiers that will be held in four countries: Sweden, Germany, Brazil and Poland. In each country, 12 qualifying tournaments will take place to determine the 16 teams progressing to the two-stage regional finals, scheduled for May 13-19. The first stage of the regional finals will see the qualified sides compete in a single-elimination bracket, with the top four teams moving on to the next stage. The last two spots in the second stage will be filled through a 64-team last-chance tournament that will feature the 12 sides eliminated in the previous stage. In stage two, the six qualified teams will face off in a best-of-one round-robin stage, which will determine the two teams progressing to the regional final. 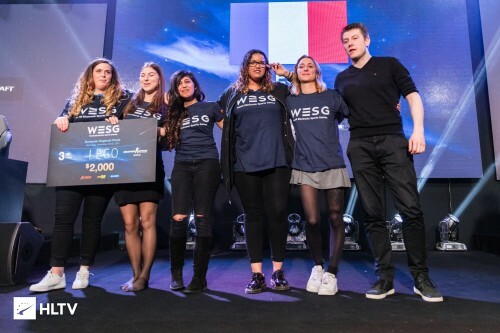 The four regional finals will have €10,000 ($11,265) in prize money, with the event organisers providing an additional €20,000 ($22,530) to cover travel and accommodation costs for the winners. Teams can sign up for the open qualifiers by heading over to Esportal.com. In the Polish qualifier, teams need to have at least three national representatives. In the German qualifier, this rule is extended to Austrian and Swiss nationals, in the Swedish qualifier to Norwegian, Danish, Finnish and Icelandic nationals, and in the Brazilian qualifier to "players residing in South America". You really outdone yourself now haven't you? Weak tournament for FURIA´s level atm. But, maybe they will compete cuz of the link with ESPORTAL. who pays the salary of them is the portent they will, yes of course. My bad. FURIA cannot compete on it, cuz only players residing in SA, in this qualifier. sure they will come to brazil to play that qualify the sharks I'm sure that the weak team will look like a bird of prey that goes behind weak prey. No, dude. It´s not possible. It´s different of another tournaments and qualifiers. In this is not allowed teams with residence in US, like FURIA. So it’s like pro league. What makes it better and how is it different to Faceit? Do they have a big playerbase? I'm genuinely curious. Not bigger playbase but the average skill level is very very high. Its mostly all swedish people playing so its easy to communicate and no russians either i believe. Esportal, the scammers? Aight then.